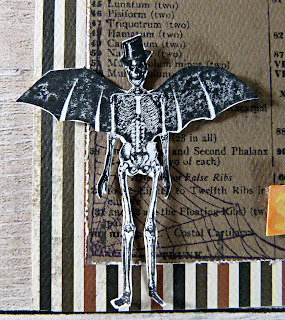 It's never too early for Halloween and we have plenty of stamps for this occasion over at Sin City Stamps so come along and check out the frightfully good creations the team will be sharing this month. 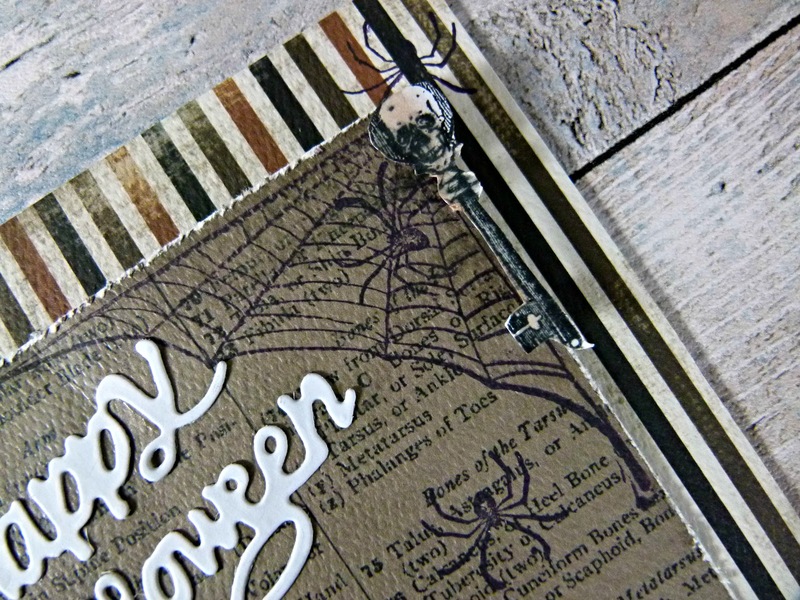 Take a 5 x 7 card and cover with patterned paper. 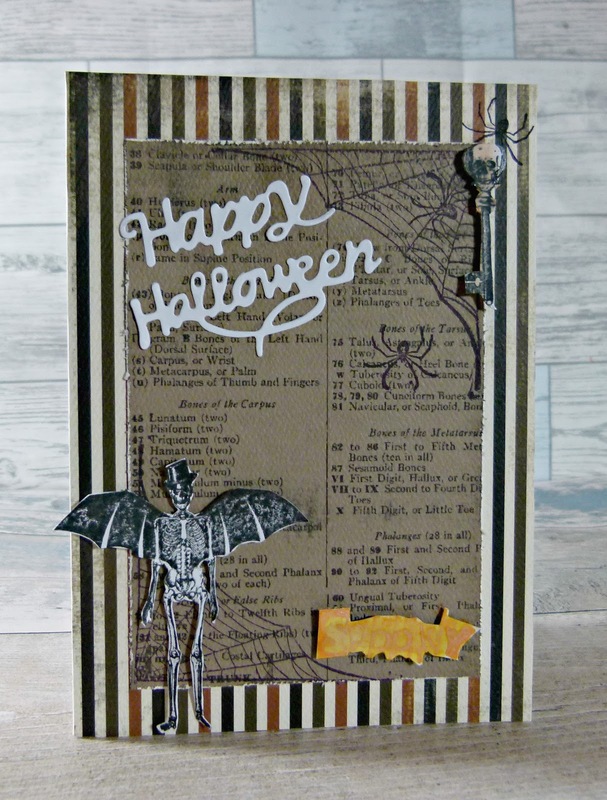 Cut out a 4 x 6 rectangle out of patterned paper and adhere to center of card. 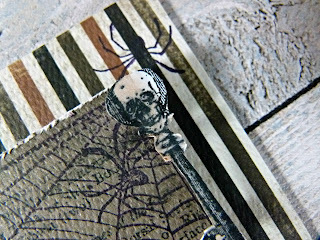 Stamp a few cobwebs onto the corners of the inner layer and add a couple of spiders. 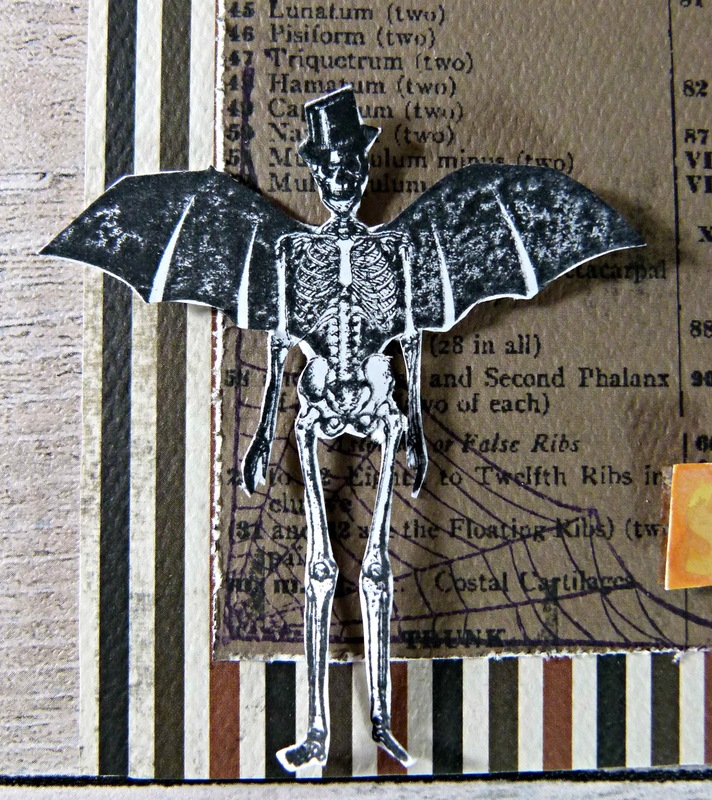 Stamp out the skeleton onto white card and cut it out. Adhere to bottom corner of the card using 3D foam tape. 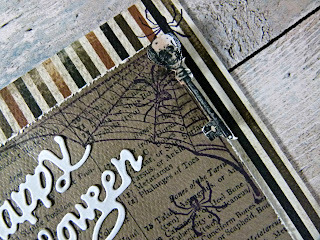 Stamp out the Spooky stamp and add to bottom of the card. Stamp out the skull key onto card and cut it out before adding to the card. Finish card off by adding a sentiment.